Check out Tobi's So Lively Cactus Plant Candle Set Can't cram any more actual cacti into your apartment? Take your love for succulents to new heights with the Green So Lively Cactus Plant Candle Set. 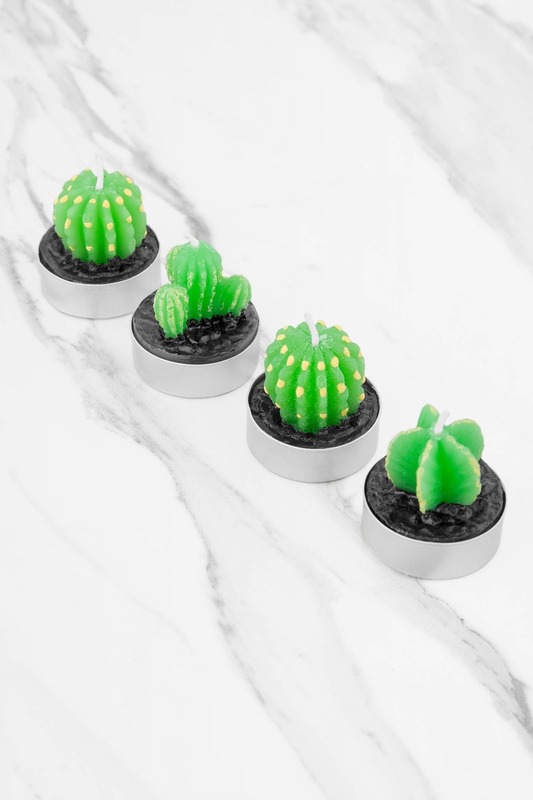 The set includes four wax candles, each one shaped like a different cactus, to add a new twist to your succulents shelf. Can't cram any more actual cacti into your apartment? Take your love for succulents to new heights with the Green So Lively Cactus Plant Candle Set. 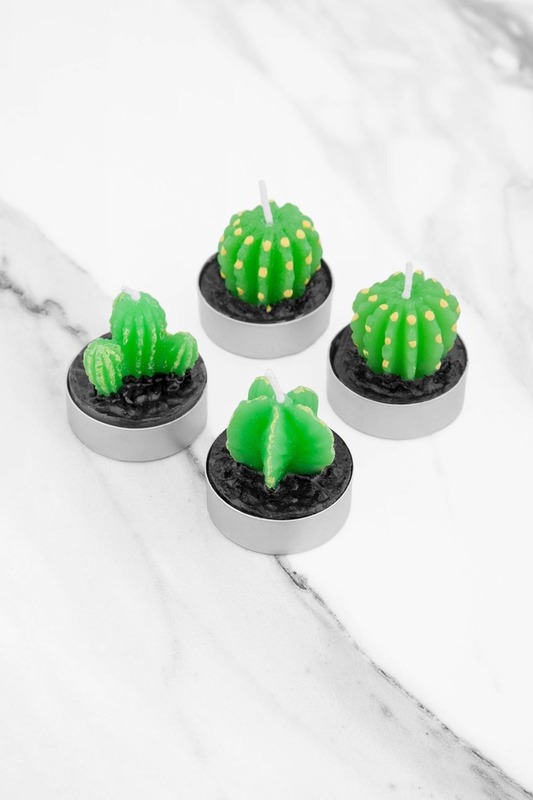 The set includes four wax candles, each one shaped like a different cactus, to add a new twist to your succulents shelf.